Who are India’s 10 best chefs, ranked in order of merit? In an age where chefs are known to work harder on their Instagram accounts than in their kitchens, it is time to mark the upper crust. So you know whose table you should dine at. So you know where you can find the finest modern Indian cuisine and the best East-meets-West sensibilities, where Asian comes with high drama and where the best biryani lazes in its flavours, and where you can find Kerala tapas and a Goan twist to Burmese cuisine. The grestest chefs are the finest of artists, but how do you compare them? Well, I have three criteria. One, what is the chef’s legacy? How much has she changed the way food is cooked and consumed? Two, how creative is she? Does she have an original style? For the record, there are only a few chefs in the country whose plates you can eat off and know immediately who is behind them. Three, has the chef been intimately involved in creating or sustaining an enduring restaurant that people love? I am not looking at TV chefs, who may be entertainers but are not really creating restaurant food. To make the process more interesting, we asked seven chefs and restaurateurs for their two or three nominations for the best chef — discounting, of course, themselves and their restaurant chefs. I got an endearing glimpse into the mind of Manish Mehrotra, the chef, when we went shopping at Delhi’s INA Market, his favourite haunt in the early years of his career. He picked little treats for himself — from various masalas to kohlrabi, churan, papads and the kidney-shaped orange sweets he is addicted to. And, then, he excitedly stuck his fingers into a bag of Fryums. At that moment, the pressure of running India’s top restaurant and being the poster boy of Indian dining was cast away.Mehrotra could have been a child in Patna and I was transported to an earlier time, to a faraway land of nostalgia. That’s what he does at Indian Accent. If food is about memory, Mehrotra is a master at creating memorable flavours. He creates sophisticated dishes that also tug at your heartstrings. He changed the way we eat Indian food by turning popular recipes from homes and streets into detailed, layered, gourmet dishes. In the process, he hasn’t sacrificed bold flavours. 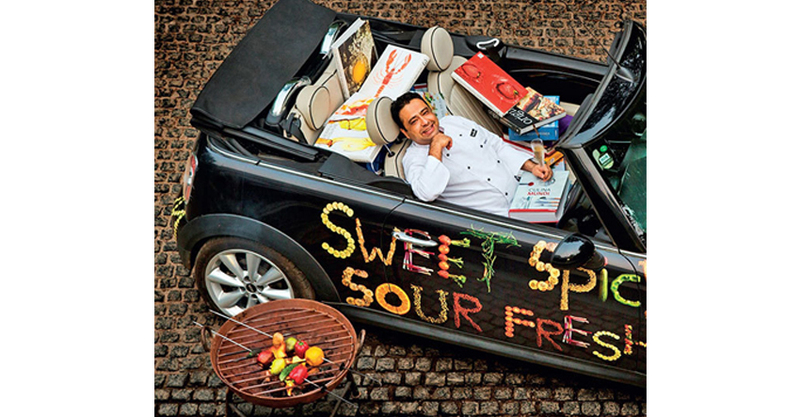 He is the most influential Indian chef of his generation. As Riyaaz Amlani, CEO of Impresario, says, “He was really the first modern Indian. His influence is all-pervasive.” First among equals.